I don’t usually write about my personal life on my blog, but today marks a bit of a personal milestone that I wanted to share – it's my one year anniversary of being vegetarian! I had already considered myself a 'flexitarian' for awhile, but one year ago today marks the official day that I made the decision to stop eating meat completely....and I’m happy to say that I haven’t looked back since! I thought it would be difficult to give up some of my favourite fish or chicken meals, but honestly I haven’t ever craved them. I would definitely say I’ve grown a lot in the past year in terms of my cooking style, what I eat, and what products I buy, and through this process I’ve learned a lot of new things and enjoyed cooking more than ever! It's funny to think that just one year ago, I had never even tried certain foods like quinoa - and now it's one of my favourite things to make! So in honour of this occasion, I thought it would be appropriate to share a recipe for a simple and healthy vegetarian quinoa dish. The recipe comes from a great blog, Daily Garnish. Her recipe looked perfect already, so the only change I made was to add the diced apples at the end rather than cooking them with the quinoa, since I wanted them to stay crisp. I also thought the cinnamon stick didn't provide enough flavour, so I added some extra ground cinnamon to each serving. 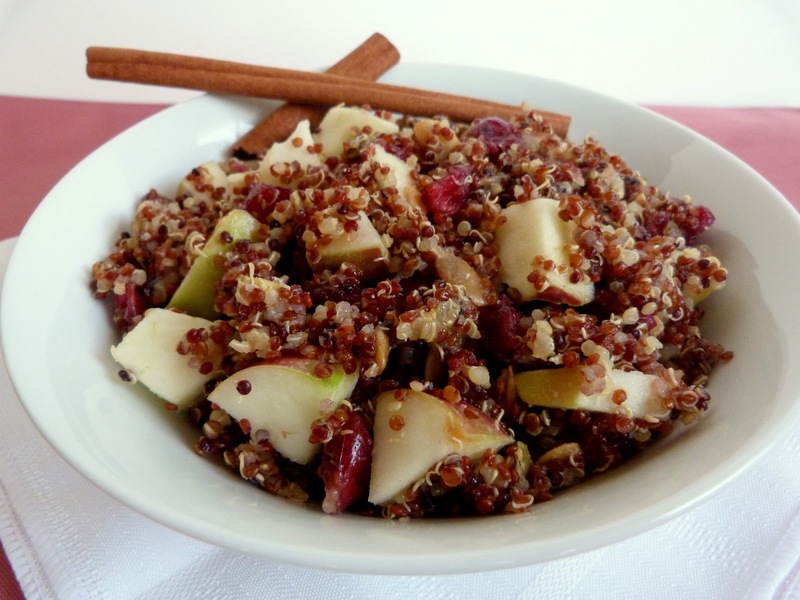 Cooking the quinoa in orange juice gives it a fruity flavour that goes well with the apples and cranberries. 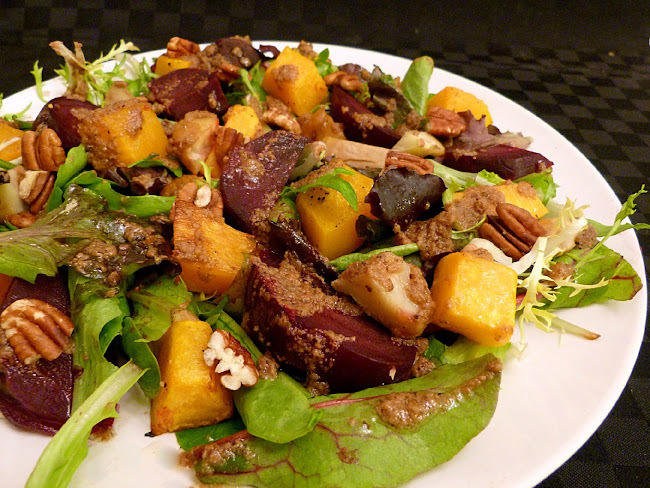 This makes a nice light dish suitable for breakfast or lunch, and is a good recipe for the winter months when many other fresh fruits aren't available. Heat a medium sized saucepan over medium-high heat. 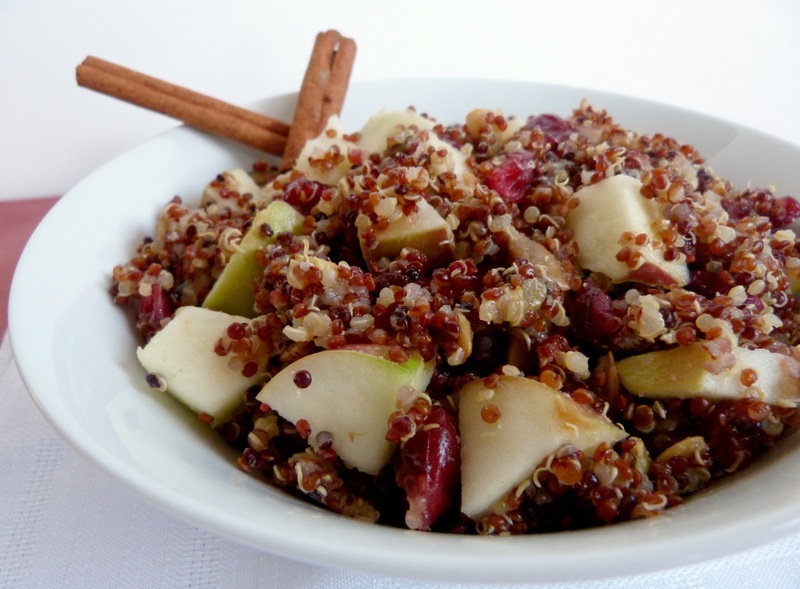 Add the quinoa and lay the cinnamon stick in the middle of the quinoa. Add the orange juice and water to the pot and bring to a boil. Reduce heat, cover, and cook for 20-25 minutes, until all the liquid is absorbed. Remove the lid for the last 5 minutes of cooking to allow the remaining moisture to escape. 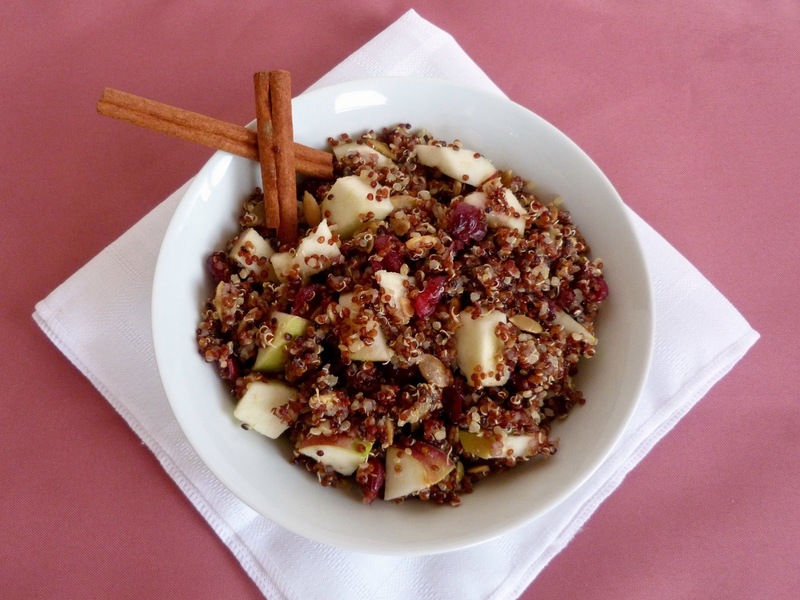 Once the quinoa is done cooking, remove the cinnamon stick and add the cranberries, pumpkin seeds and apples, tossing to combine. Sprinkle some extra cinnamon over each serving if desired. 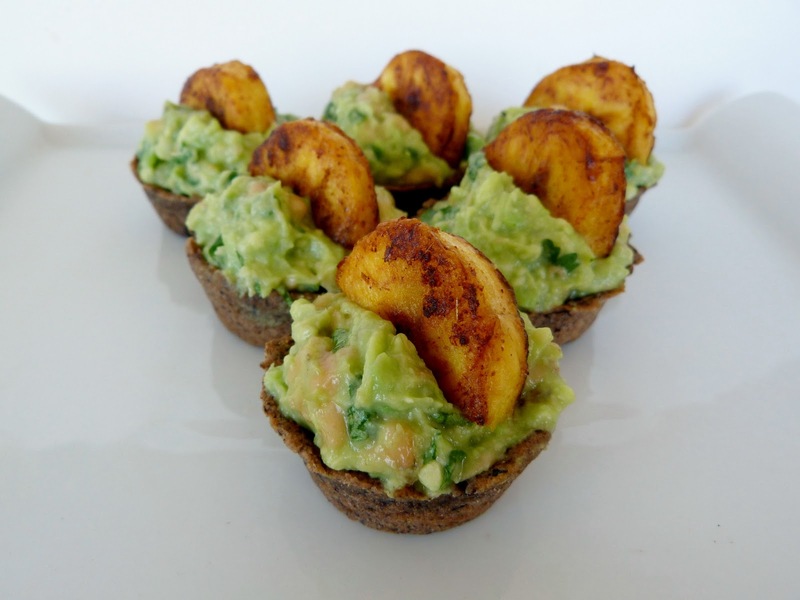 After a week of posting about healthy dinner ideas, I figured it was time to share another treat! 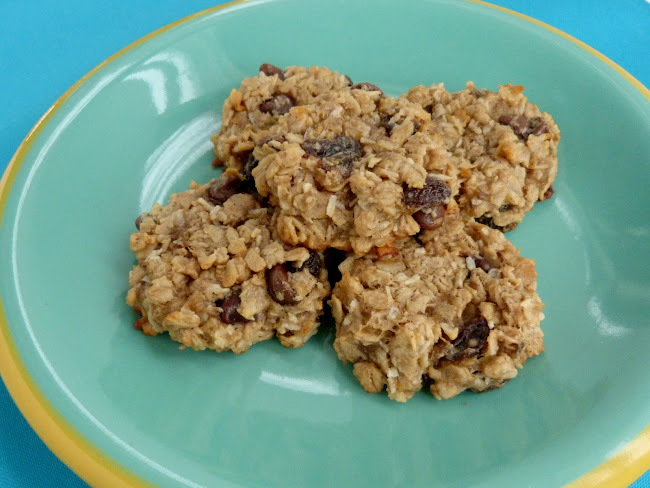 But these vegan peanut butter banana cookies would hardly qualify as an indulgence - they contain healthy fats from almond butter and peanut butter, very little oil, and the only added sweetener is a touch of pure maple syrup. 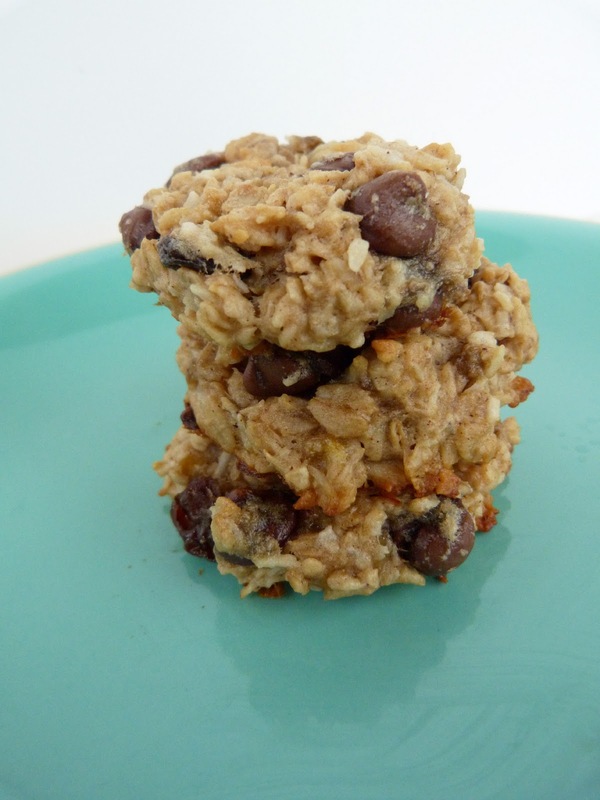 I made these cookies for my family just after New Years, but since nobody really wanted another dessert lying around the house after the holidays, I only made a small batch and reassured everyone that they were "healthy" cookies. I guess I should have made a bigger batch because all the cookies disappeared pretty quickly! They were soft and thick (my favourite kind!) and had a nice balance of flavors between the almond butter and peanut butter with a hint of banana. Before I get to the recipe, I wanted to share a bit of exciting news that I received this morning - the Ninjamatics 2011 Canadian Weblog Awards just announced their shortlist of nominees for blogs in a variety of categories, and I was so happy to find out that I made the top five for two categories - Best New Weblog and Best Weblog About Food and Drink! Even if I don't make it any further to the final round, I'm honoured just to be chosen among all the other great blogs that were nominated! Congratulations to the other Canadian nominees on the shortlist! In a large bowl combine all the dry ingredients (oats through to salt). In a separate bowl, mash the banana. Add the nut butters, oil, vanilla and maple syrup and whisk until smooth. Add the wet ingredients to the dry ingredients and stir until all the dry ingredients are incorporated. 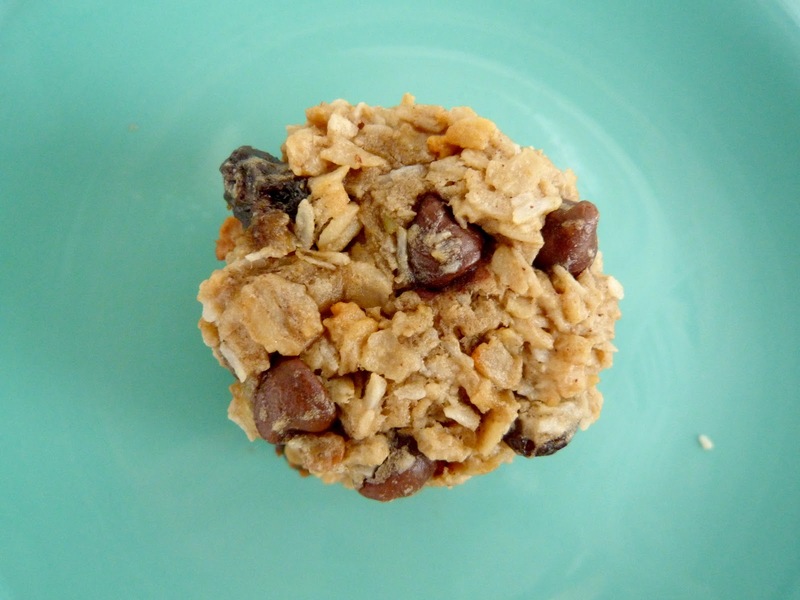 Fold in the chocolate chips and raisins. Line a large baking sheet with parchment paper or coat with baking spray. Scoop out the dough and drop cookies onto the baking sheet about 1” apart. 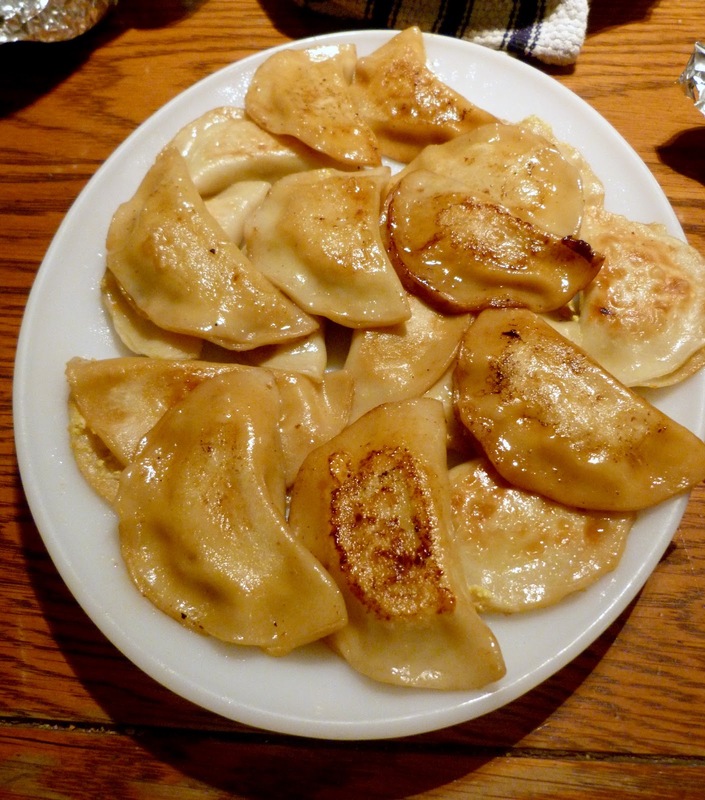 Bake for 12-14 minutes, until they start to turn golden. Let cool on the baking sheet for a few minutes to help them firm up, then transfer to a wire rack to finish cooling. It seems like I make a lot of dishes with peanut sauce, but I can't help it - it's one of my favourite things to eat! Besides, pretty much anything tastes delicious when its smothered in a creamy, spicy peanutty sauce! So naturally, this recipe for spicy stir-fried broccoli with peanuts on Eating Well's website caught my eye. 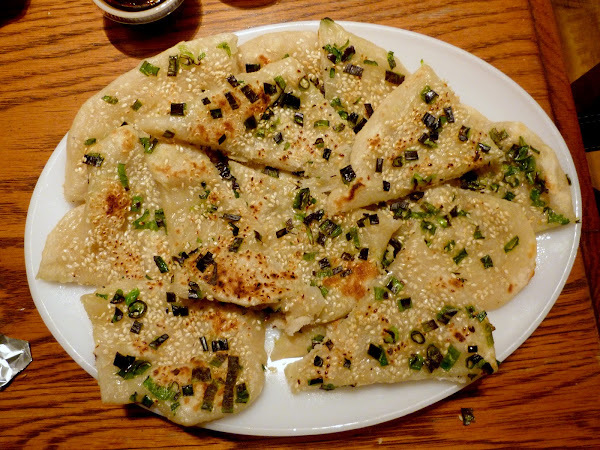 The original recipe looked more like a side dish, so I took the suggestion of adding tofu to turn it into a main dish. I marinated the tofu in some soy sauce, sesame oil, rice vinegar and sesame seeds - flavours that went well with the rest of the stir-fry. 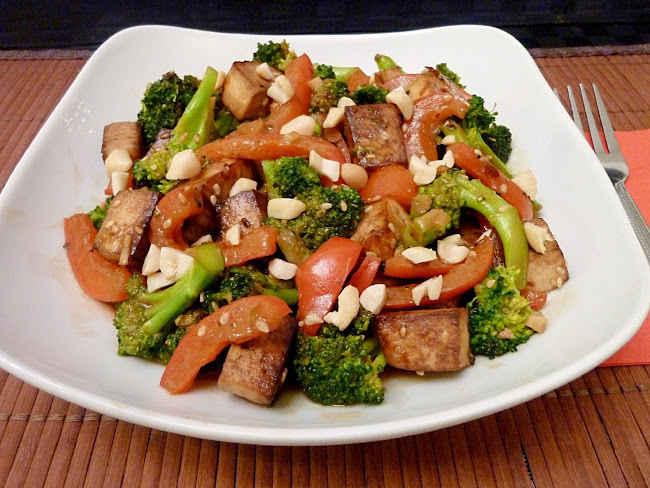 Once you have your ingredients prepped, the rest of the dish doesn't take very long to put together - just cook the tofu, broccoli and red pepper, mix in the sauce and sprinkle with chopped peanuts. 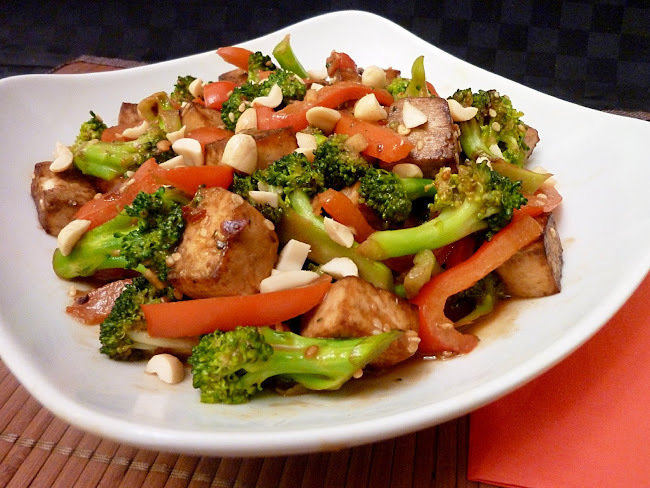 I loved the flavours in this dish and I thought the tofu and vegetables were cooked just the right amount! When I ate the stir-fry on its own, I ended up with some leftover sauce at the bottom, which I was happy to slurp up because it tasted so good! But the next night I decided to serve the leftovers over some plain rice and that was the perfect way to soak up the extra sauce, so I would recommend cooking some rice to eat with your meal. 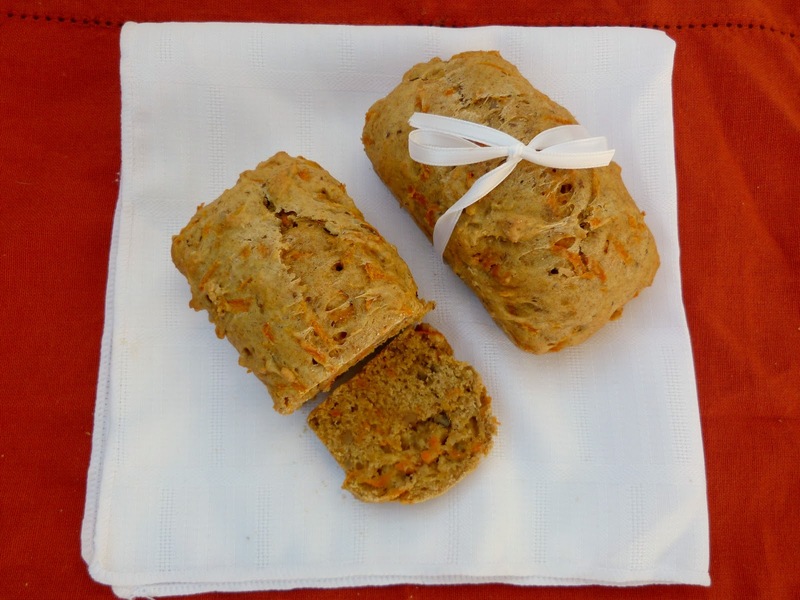 Press the tofu between paper towels for at least 5-10 minutes to remove some of the moisture. Slice tofu into pieces and lay in a shallow bowl. Whisk together the remaining ingredients and pour over tofu. Let the tofu marinate for about half an hour, turning occasionally to coat all sides. Heat about 1 tsp of vegetable oil in a skillet over medium heat. Add the marinated tofu and cook for 5-7 minutes, flipping occasionally, until all sides are browned. Heat the oil in a large skillet or wok over medium heat. Add broccoli and cook, stirring often, until it begins to soften and turn brown, about 6 minutes. Add water and soy sauce to the pan along with the red pepper and garlic. Cook, stirring often, until the pepper has softened and the liquid has evaporated, 2 to 4 minutes. Remove from heat and add the cooked tofu. Stir in the reserved peanut sauce and sprinkle with chili flakes. 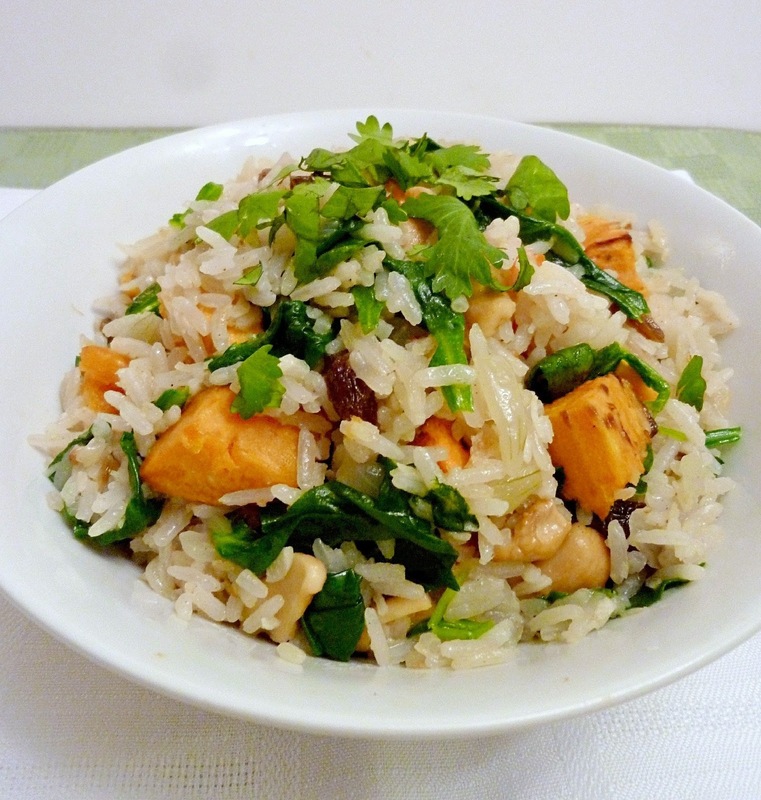 Serve hot, over plain rice or on its own. 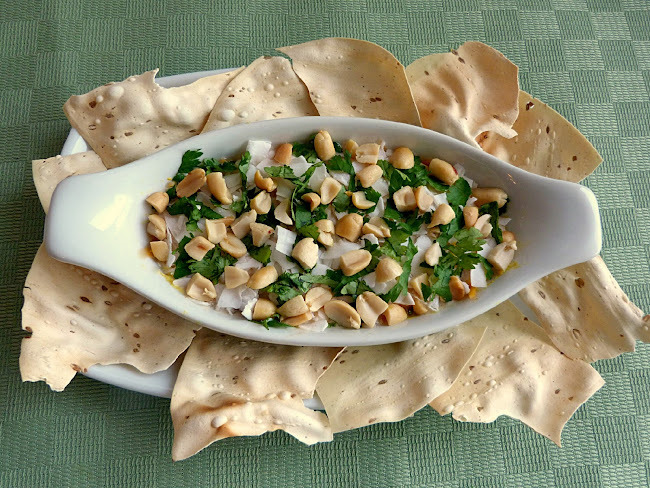 Garnish each serving with chopped peanuts. 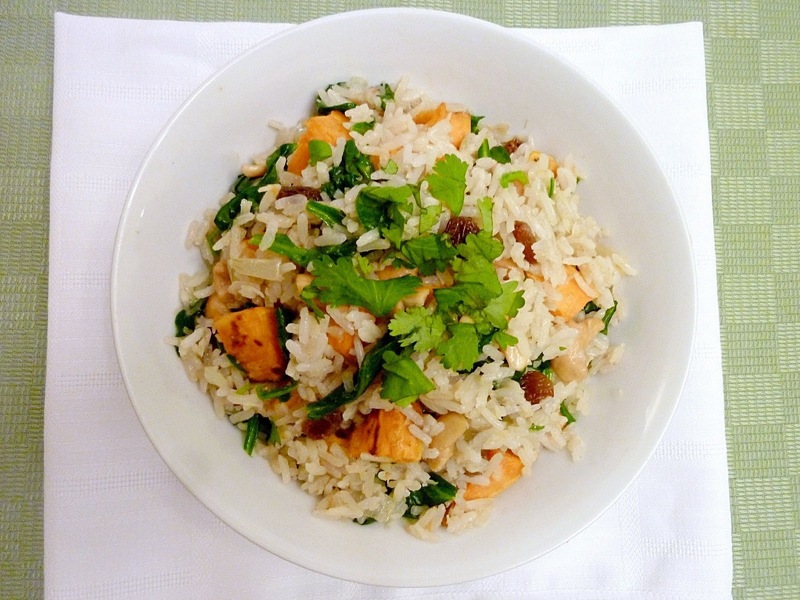 A lot of people probably think of rice as a boring side dish, but this sweet potato coconut cashew rice bowl definitely proves that plain rice can be transformed into an incredibly tasty meal! I love both sweet potatoes and coconut in any form, so when I saw this recipe on The Family Kitchen, I knew I would be making it myself as soon as possible! You actually get a double dose of coconut in this dish - I changed the recipe so that the rice is cooked in coconut milk to soak up the flavor better, and then you toast some shredded coconut and mix that into the cooked rice. I love the smell and taste of toasted coconut, and even though it is usually used in dessert recipes, I thought it fit perfectly in this rice dish! 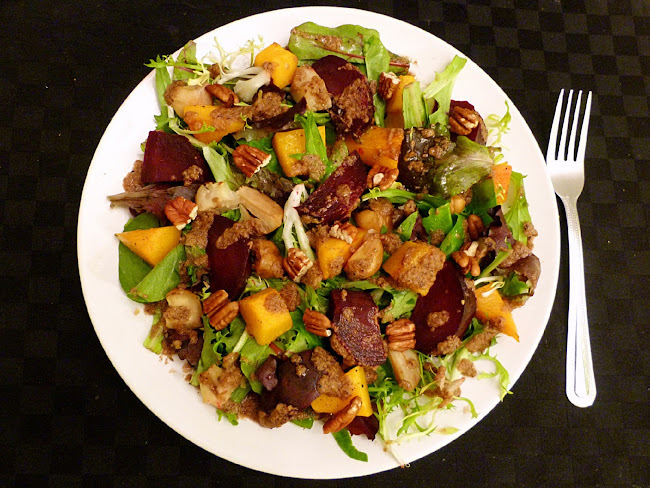 Between the chunks of sweet potato, the coconut, the raisins and the maple syrup, this meal was a bit on the sweeter side, but it was also balanced out by the spices, cilantro and some chopped spinach that I added to increase the nutritional value a bit more! So as long as you have a bit of a sweet tooth and you like coconut as much as I do, I'm sure you will love this rice too! Preheat the oven to 400°. Place the diced sweet potato on a baking sheet and toss with a bit of olive oil. Roast in the oven for 20-25 minutes, until tender. Heat a medium-sized saucepan over medium heat. Add the coconut and cashews. 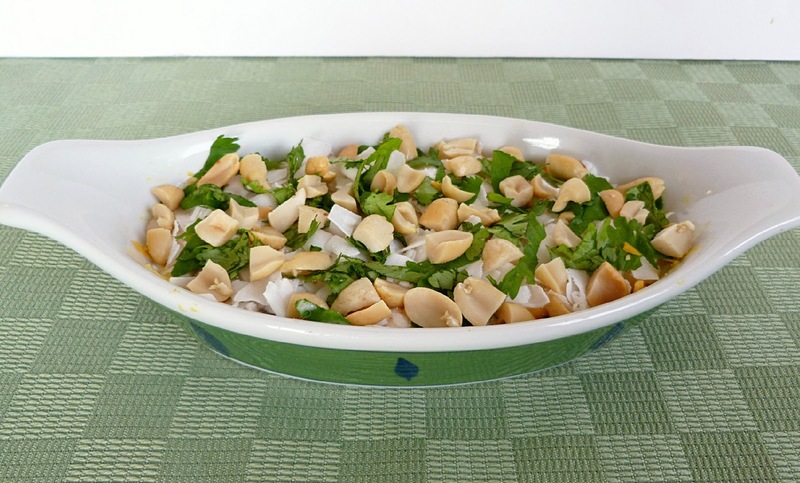 Cook for a few minutes, stirring often, until the coconut is lightly toasted and the cashews are lightly browned. Remove from pan and set aside. Add the olive oil to the pan. Once the oil is hot, add the onion and cook for about 4-5 minutes, stirring occasionally, until softened and lightly browned. Add the ginger and garlic and cook for about 30 more seconds. Add the rice, water and coconut milk to the pan. Stir in the spices and bay leaf. Bring to a boil, then reduce heat to low, cover and simmer for about 12 minutes (or cook according to rice package directions). Once the rice is done, remove the pot from the heat, take out the bay leaf and add the raisins. Cover and let sit for 5 minutes. Remove lid and fluff the rice with a fork. Stir in the maple syrup and spinach, and the reserved sweet potato, coconut and cashews. Serve warm. Garnish with cilantro. 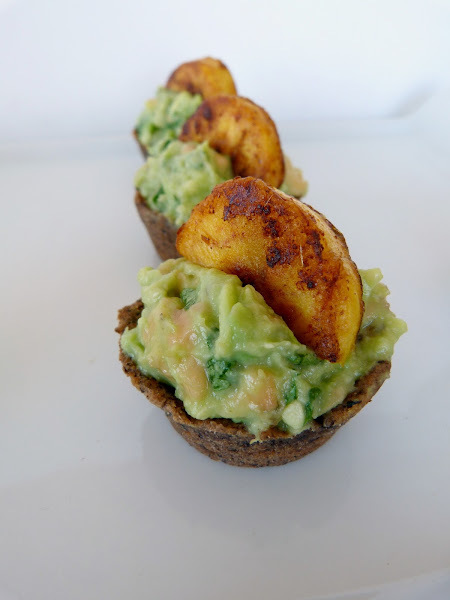 After a few round-up posts to start the new year, it's about time I shared a new recipe with you! I actually made this soup before the holidays, but I thought this was a better time to post it, now that everyone is looking for healthy dinner ideas. I've had mulligatawny soup a number of times in the past, but each recipe seems to be different. 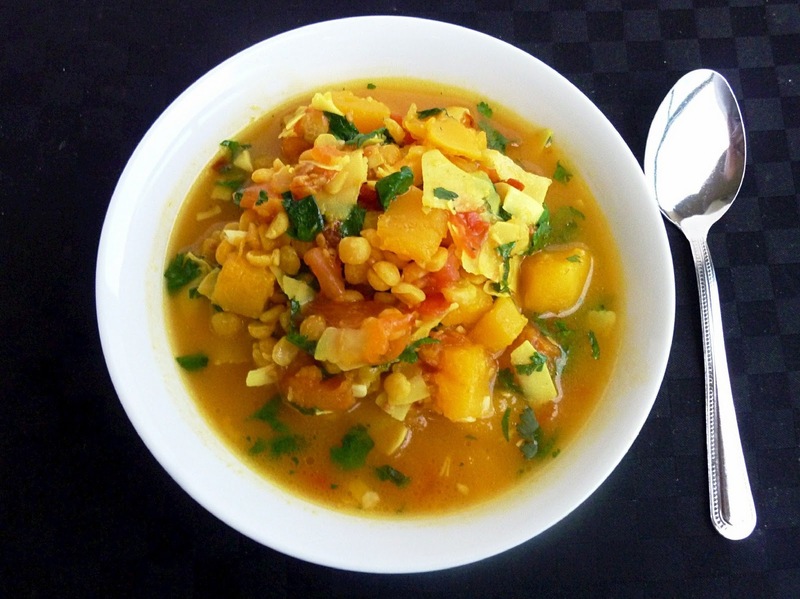 The name mulligatawny literally means "pepper water" and can generally be described as a spiced lentil soup, but it can be prepared in different ways - sometimes it's just a pureed soup, and some versions have vegetables or even chicken mixed in. I think the best mulligatawny soup I've ever had will always be one that I ate at a nice hotel in India, but this homemade version was really good too! 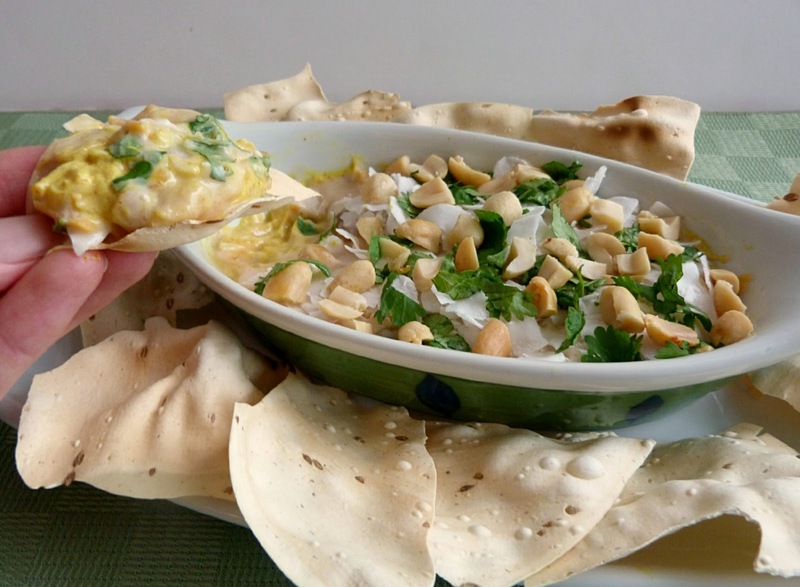 The recipe comes from the Whole Living website, and what drew me to it was the addition of toasted chickpeas. The recipe sounded perfect as written, but I decided to add some onion for extra flavour and I used yellow split peas instead of lentils, so I had to increase the cooking time. This was a warm and comforting soup with the flavour of Indian spices brightened up by the fresh lemon juice. I really liked the toasted chickpeas too, they added an interesting textural dimension and turned the soup into more of a meal. I also recommend serving this with naan bread - its great for cleaning out your bowl! Heat 1 tbsp of the olive oil in a large saucepan over medium heat. Add the onion and cook for a few minutes, stirring often, until lightly browned. Add the garlic, ginger, cumin, turmeric, coriander and cayenne, and a pinch of salt and pepper. Cook, stirring, for about 30 more seconds. Add the split peas and vegetable broth and bring to a boil. Reduce heat to a simmer, cover the pot and cook for about 30 minutes, until the split peas are soft. Make sure you keep an eye on the pot - if the liquid starts to dry up, add additional water to prevent the peas from burning (I added about one cup total throughout the cooking time). Once the split peas have finished cooking, transfer the soup in batches to a blender and puree. Return soup to pot and add 2 cups of additional water. Heat over medium heat until the soup is warmed through. Meanwhile, heat the remaining oil in a large skillet over medium-high heat. 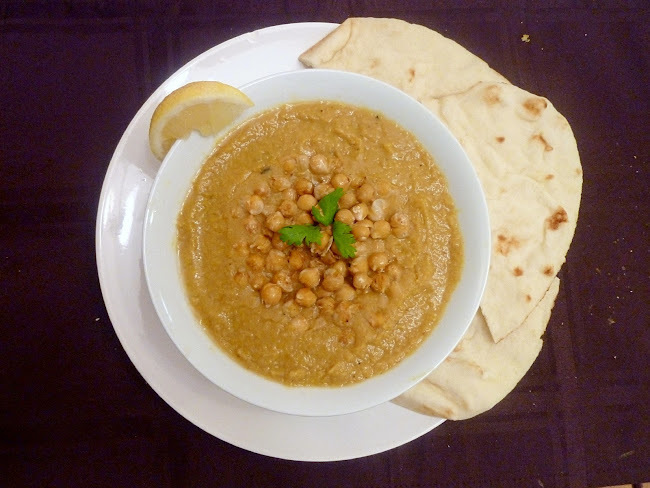 Add the chickpeas and cook, stirring occasionally, until they are golden brown and crisp, about 7-8 minutes. 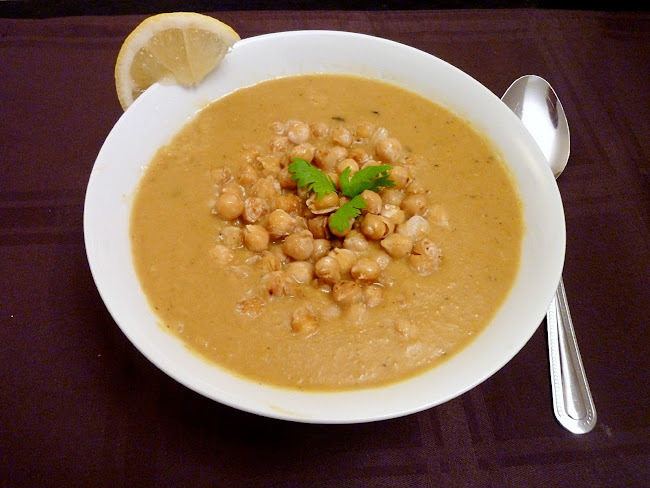 Remove the soup from heat and stir in the lemon juice and the cooked chickpeas (or add the chickpeas to each bowl at serving time). 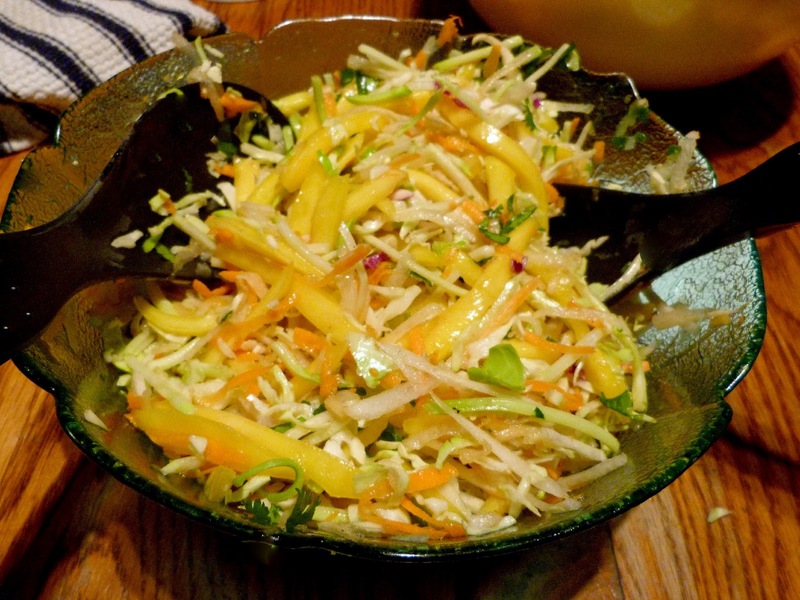 Serve with rice and/or naan bread if desired, and additional lemon wedges for squeezing over each bowl. I don't typically make New Year's resolutions but if I had to make one this year, it would be to use my cookbooks more often. And now that I've received two new vegan cookbooks this Christmas full of recipes that I want to make (Vegan Planet and Appetite for Reduction), it won't be hard to keep that resolution! I've already tried over eight recipes from the two books, and all of them turned out so well! 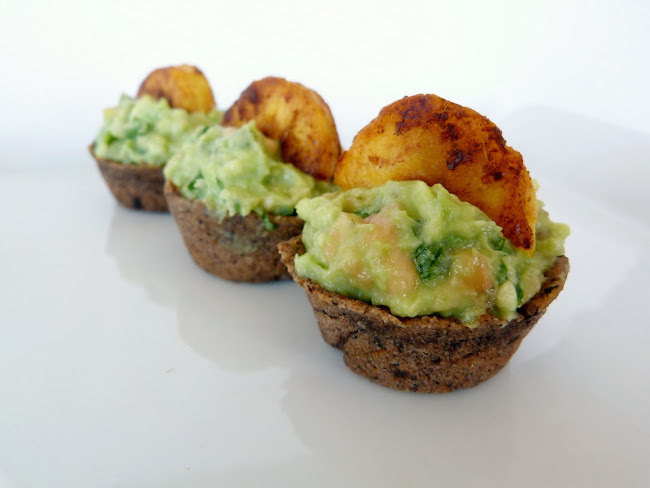 I actually made six of those recipes (plus two dipping sauces) from Vegan Planet all in one day for our New Year's Eve dinner, and since I loved everything so much, I wanted to share the meal on my blog! 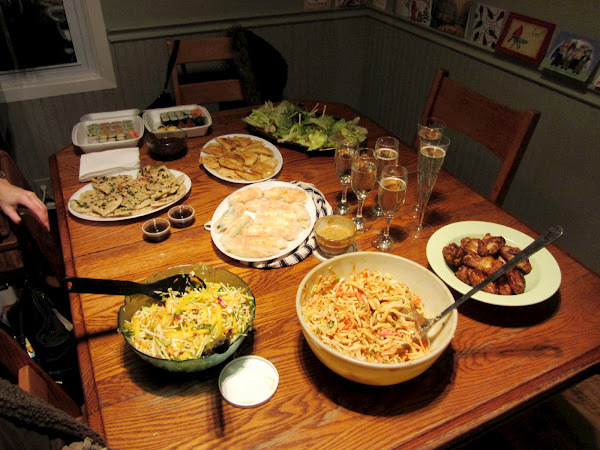 I was inspired to create an Asian style appetizer feast after remembering a fun NYE a couple years ago with my older sister when we ate sushi. And since I found so many delicious-sounding recipes in Vegan Planet that would suit the theme, I decided to make them all! I was a bit worried that I was too ambitious in taking on such a big task by myself and that I wouldn't finish everything on time for dinner, but I worked pretty much non-stop all day long and had everything on the table by about 7pm in time for us to eat. Even though it was a LOT of work to prepare everything, I actually enjoyed the process and the end result was definitely worth it (not to mention all the praise I received from everyone who ate it!) 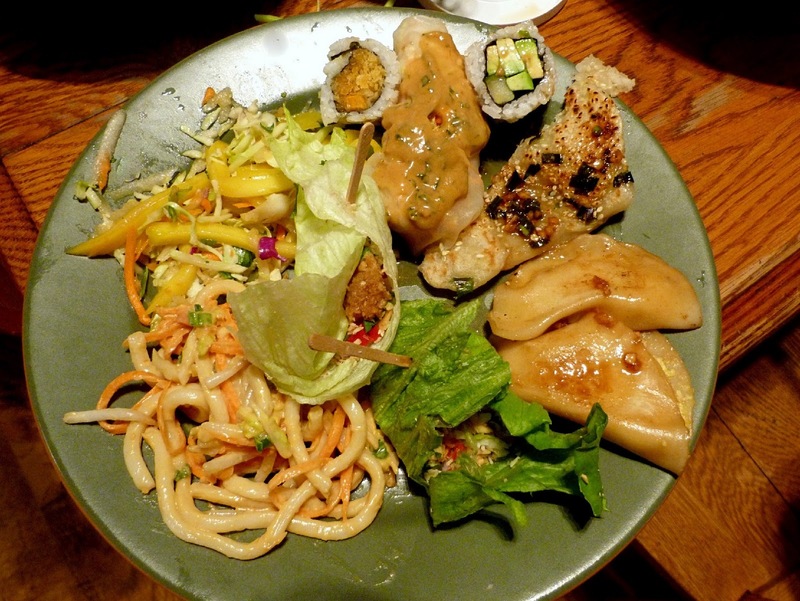 We all thought the food tasted better than take-out, plus it was a lot cheaper! I won't reprint all the recipes here, but I do encourage you to buy the book - I'm sure you will get a lot of use out of it! And if you already own Vegan Planet but haven't tried these recipes, I hope you'll bookmark them to make soon! These were easier than I thought to make - I prepared the filling ahead of time (tofu, cabbage, carrots and some other flavouring ingredients processed together), then assembled the dumplings using storebought round wonton wrappers and stored them in the freezer until it was time to cook them. This was my first time making fresh rolls and took took a couple tries to get the hang of it (as you can see, the one on the left was my first attempt). 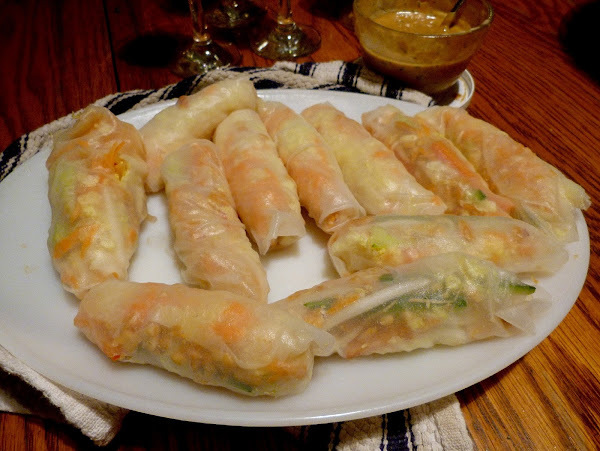 I filled them with cabbage, carrot, red pepper, cucumber, bean sprouts and chopped peanuts. And you have to make the peanut sauce for dipping them in! These pancakes are made from a simple flour-water dough and coated with sesame oil, scallions and sesame seeds. As there are no pictures in the cookbook, I wasn't quite sure how these were supposed to turn out, but I'm pretty sure they aren't supposed to look like this. Even though they didn't brown as much as I wanted them too, they had a nice texture and tasted great, especially with the dipping sauce. 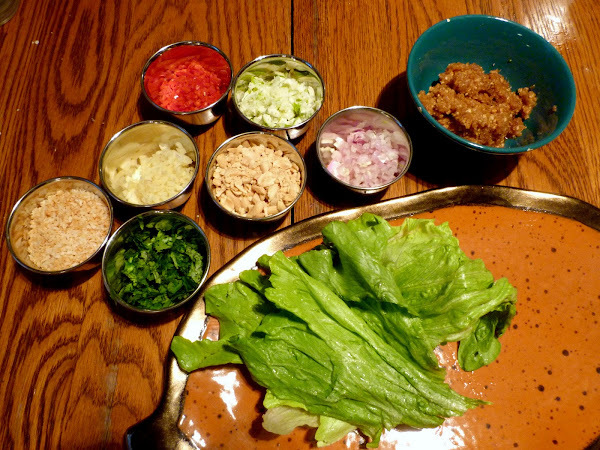 These lettuce wraps were fun to put together, although there were a lot of components to prepare. To make them, I just took a large piece of lettuce, filled it with a bit of each ingredient from the bowls (peanuts, toasted coconut, thai chilis, shallots, ginger, cilantro, limes and a peanut-coconut chutney), wrapped it up and secured with a toothpick. You could also let guests make these themselves, but I wanted to have everything prepared ahead of time. 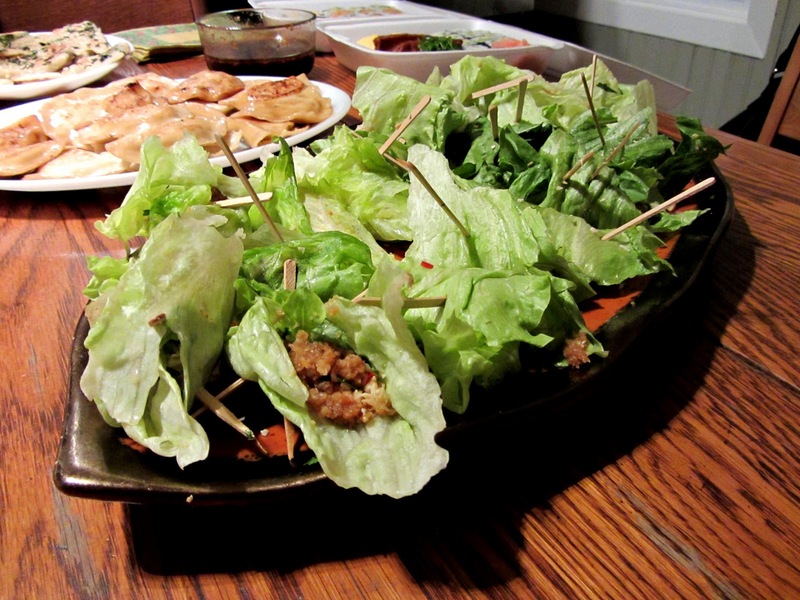 Here are the lettuce rolls once they were already prepared. All of the filling ingredients combine to create an explosion of flavour when you pop them in your mouth! I used the recipe in the book for Asian Cole Slaw, which includes shredded cabbage, carrot and daikon radish in an asian style dressing, and added one sliced mango to create a fusion of thai mango salad and coleslaw. 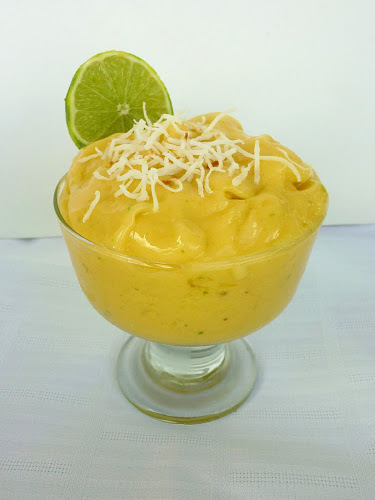 The mango was my favourite part, so I recommend adding it! 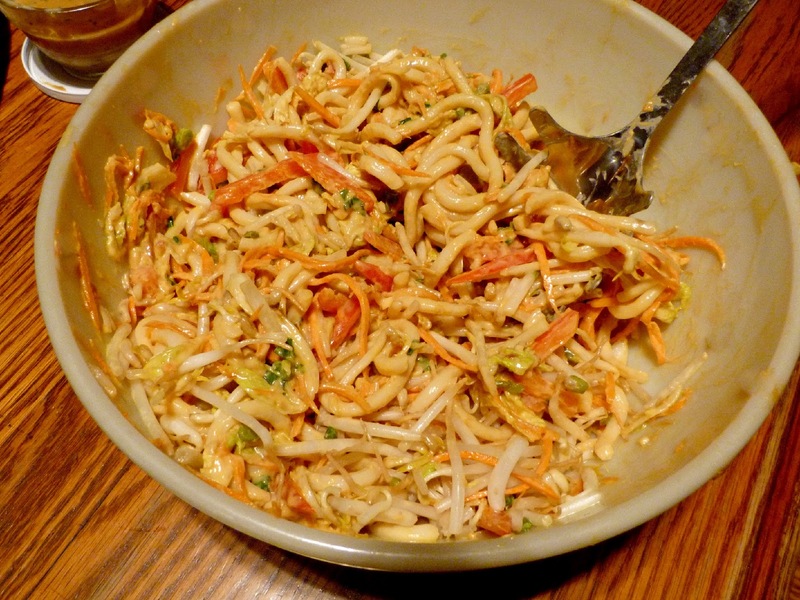 Thick udon noodles tossed with shredded carrot, cabbage, red pepper and bean sprouts (my own addition), coated in a creamy peanut dressing. I was very happy to have leftovers of this to eat the next day! My first helping of food and a great way to end the year! I was so happy to hear that Heather from Sunday Morning Banana Pancakes (I always smile when I say the name of her blog!) nominated me for this award. The Liebster award is a way of giving recognition to newer blogs or those that have fewer than 200 followers. The recipient of the award then has to select five other such blogs to pass the award on to. Since I love to read other blogs but don't always leave them comments, I thought this was a great way to show my appreciation for some of the blogs that inspire me! Fork and Beans - I discovered Cara's blog in October when she was posting daily Halloween-inspired recipes and I loved her creativity and entertaining writing style. 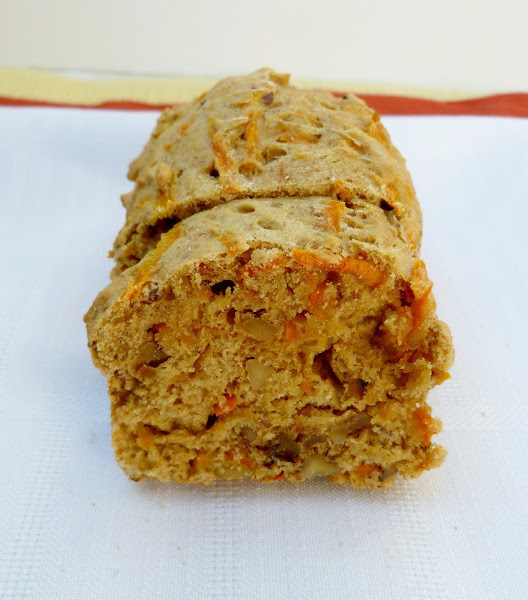 She is a genius at turning any recipe into a gluten-free and vegan version! The First Mess - I was hooked from the very first post on Laura's blog and I still get excited each time she makes a new post - I love her unique vegetarian recipes and gorgeous photos! The Fig Tree - Courtney (a fellow Canadian blogger) posts lots of sweet treats and delicious vegetarian recipes and her presentation is always beautiful! 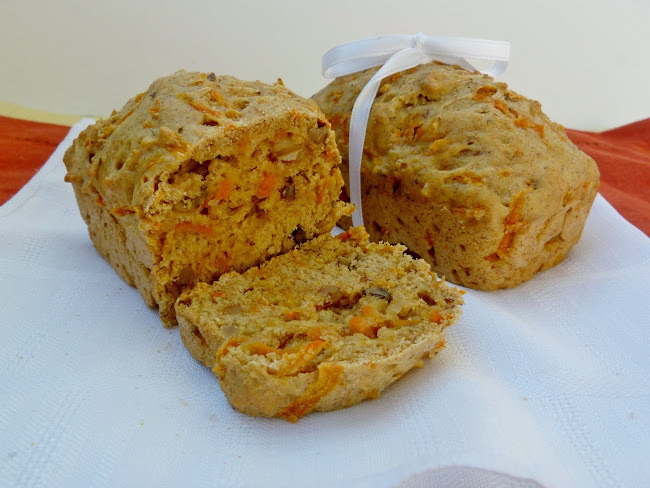 K's Veg Recipes - with a new name (previously called Not Another Cookbook) and a transition to more vegan recipes, I am definitely looking forward to seeing more recipes on this blog this year! K's posts are always so informative and helpful too! Instead of starting off the new year with a new recipe, I wanted to recap some of my favourite recipes from last year. I've already counted down the most popular posts of 2011, but some of my personal favourites didn't make that list so I decided to create another list! It was too hard to try to choose ten favourites out of all my recipes, so I broke them down by month and chose my favourite post from each month. And since I've only been blogging for six months, I added four "honorable mentions" to round out the Top 10! I made two different kinds of chilled avocado soups this summer - Cucumber Dill Avocado Soup and Raw Corn Avocado Chowder. I loved the flavour and texture that the avocado gave these soups, and they were a nice light and refreshing meal to enjoy in the hot weather! This soft serve combined three of my favourite tropical flavours in a cool, creamy and refreshing healthy summer treat! 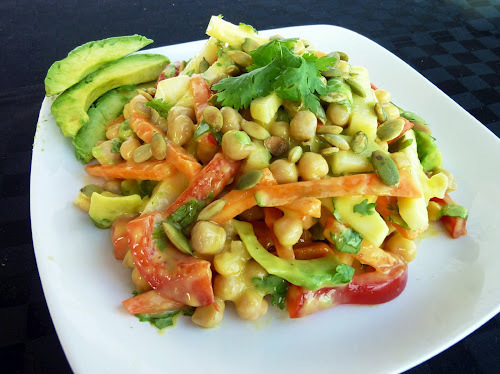 Mangos made another memorable appearance in this fresh salad full of veggies, chickpeas and avocado in a creamy mango dressing. I loved every part of this salad! Out of all the baked goods on my blog, this might have been my favourite so far! 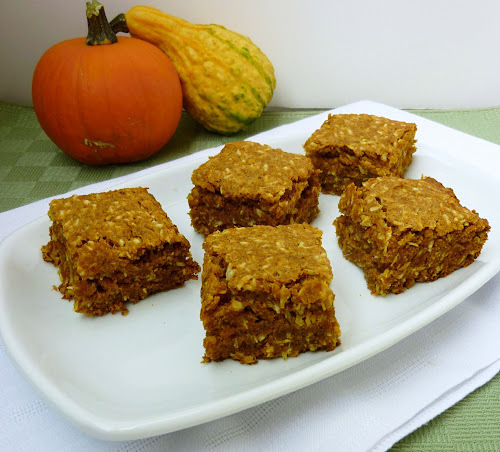 This healthy snack cake was so moist and I loved the flavour combination of pumpkin and coconut. 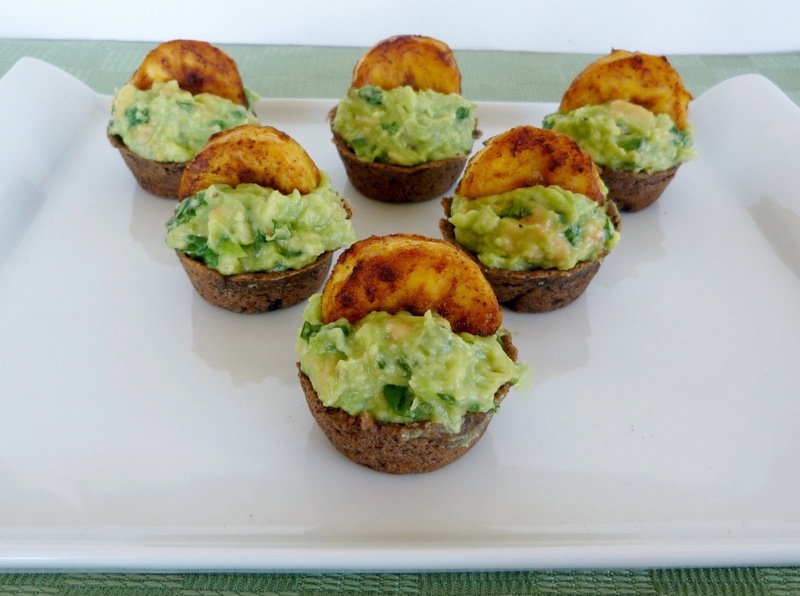 This was one of those recipes that totally exceeded my expectations. It had so many layers of flavour, texture and ingredients that came together perfectly! 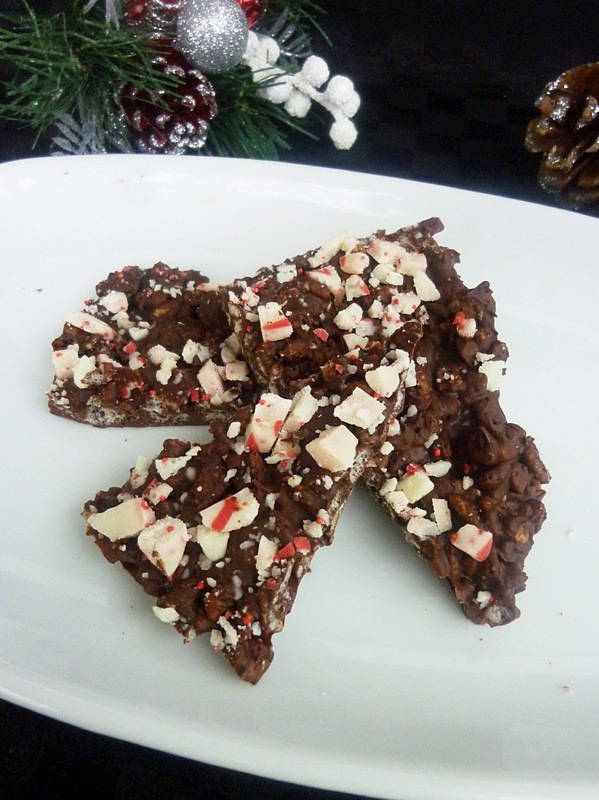 This was my favourite holiday-themed treat that I made this year - a light, minty, crispy bark that was so addictive! This was one of those meals that had me licking my bowl clean! 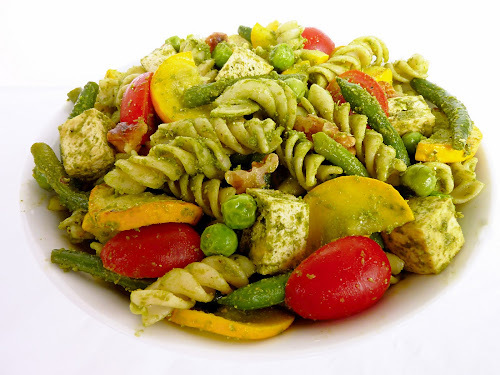 The basil pesto sauce was amazing, and I loved the chewy bites of tofu....this is definitely not your average summer pasta salad! 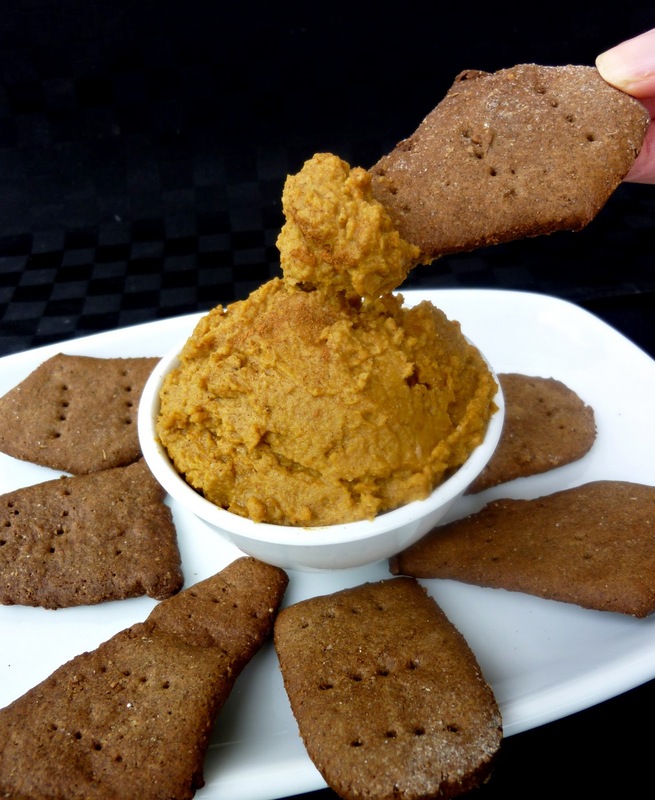 I love coming up with creative variations of hummus, and this pumpkin dessert hummus with a hint of coffee flavour was such a tasty snack, especially spread on graham crackers! 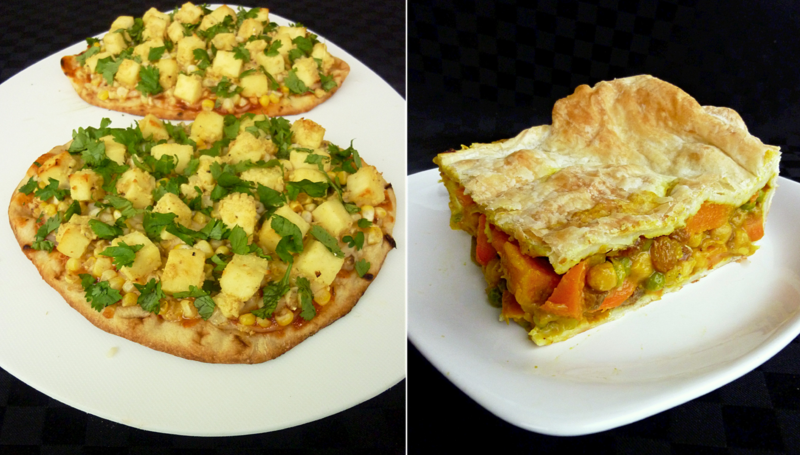 I made a lot of Indian food this year, but my Indian Naan Pizza with Paneer and Corn and my Indian Pot Pie really stood out. Both were Western style dishes adapted to incorporate Indian ingredients and spices, and they turned out so well! And if you haven't tried corn as a pizza topping yet, I highly recommend it! This was also the year I discovered and fell in love with panzanella! It's a great way to highlight seasonal veggies and you can customize it however you like. I can't decide whether I liked my Summer Panzanella or Winter Panzanella better, so I included them both! So I guess I cheated a little at the end, but it was too hard to limit my favourite recipes of the year to just 10! I had so much fun creating all of these recipes and sharing them here this past year, and I can't wait to post more delicious recipes in 2012!